Animal waste is commonly used as fertilizer but it can now be utilized as an endless supply of energy thanks to Anaerobic Digestion. Zoos in the U.S. clean around 400 tons of animal waste a year and that amount of waste can be processed and used to provide about 10% of their energy needs. The Detroit Zoological Society is the first in the U.S. to take advantage of Anaerobic Digestion by using the waste of zoo animals. It launched a campaign for its Detroit Zoo last week, hoping to at least save $80,000 in the facility’s energy costs, as well as about $40,000 in waste disposal. The Detroit Zoo plans on reducing its greenhouse gas emissions by 20% this year, and a zero-waste goal by 2020.
said Gerry VanAker, the Chief Operating Officer of the Detroil Zoological Society. Anaerobic Digestion is a sequence of biological processes in which microorganisms are broken down into biodegradable materials to produce biogas. 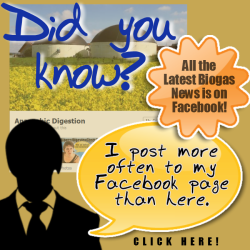 The biogas is then combusted (burnt) in order for it to generate electricity or heat. The biogas byproduct consists of methane (CH4), carbon dioxide (CO2), and other forms of gases. Sulzer, an engineering company that is in partnership with Unaoil, says that a successful anaerobic digestion plant requires temperature equalization and the proper homogenization of the biomass. In addition, for the production of a high quality biogas, the formation of floating crusts on the top of the liquid substrate should be prevented, and foam formation must be avoided. 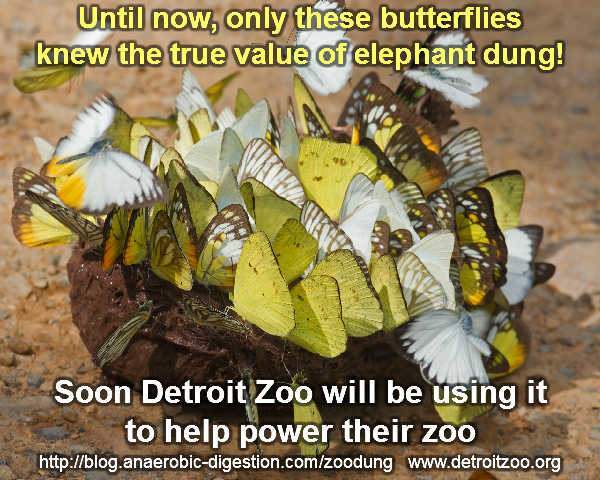 Detroit Zoo’s new biodigester equipment will save on waste disposal costs, and also generate energy, but will have a high initial capital cost, and the Detroit Zoological Society’s existing funding is not enough to purchase it. As a result, the society has started a crowdsourcing operation with a target goal of $55,000 by June 16th. We think that this use of crowdsourcing is probably another first for the zoo!